This thesis was subtitled How Lemony Snicket’s The Bad Beginning Overturns Perceptions of Children and Adults from Traditional Family Stories which, I think, is the longest subtitle I’ve ever written. I swear, my paper is much more interesting than what that subtitle implies! The best part about my school’s English department’s policy on Senior Thesis projects is that you can basically do it on any topic of your choice. That’s to say, the subject itself doesn’t have to be scholarly, but your research on it does. As a side note, I apologize to those who are forced into topics by their professors – sometimes you do what you gotta do. For those at liberty to choose like I was, please go nuts with your topics! Projects in my class ranged from YA lit, to horror fiction, to even Dr. Who so yes, exercise that freedom! I had many ideas bouncing around in my head for this, but I decided to do my project on Lemony Snicket’s “The Bad Beginning” from his very famous series A Series of Unfortunate Events. It was one of my childhood favorites, and re-reading it as an (almost?) adult made me realize even more how clever and well written these books are! My project, of course, needed a scholarly lens, and so I decided on the carnivalesque, which is one of my favorite literary theories out of those I was introduced to during my college years. I loved how the carnivalesque talked about the way ideas were turned upside down in literature, and I thought that this connected very well to the topsy-turvy world that the Baudelaires lived in. 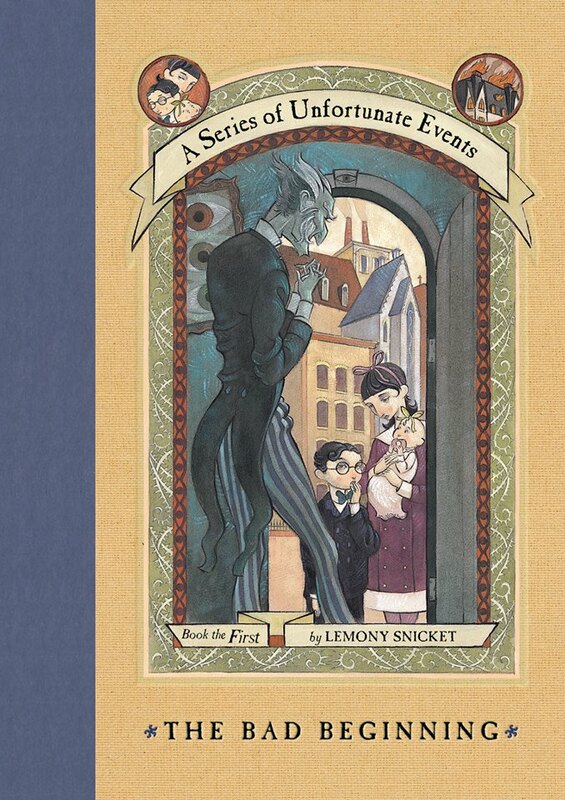 After some research on the way Snicket uses this carnivalesque twisting of the traditional children’s story in “The Bad Beginning”, I finally came to the conclusion that the book was a really good examination of the way children and adults relate to each other. The adults of the novel, though placed in traditional positions of power, are revealed to be useless, ignorant, or just plain evil. The children, who are usually seen as submissive, are shown to be powerful, clever, and moral. As a final aside to all those writing long papers: 20 pages seems like a lot of space to fill, but if you’re anything like the graduating seniors of my class you’ll find yourself having to cut down on information rather than adding any in! A shorter, more focused thesis is much better than a longer, fluffy one with irrelevant information. As this post reveals, this project taught me very much about the process of writing, especially about narrowing the focus of a thesis down to a specific idea. It’s a very valuable skill that I think translates well into virtually every field. Additionally, I was very glad to be able to write on a book that I’ve loved since childhood. Studying a well-loved story in an academic setting may be daunting, but this experience helped me appreciate it even more.